Superior Avenue, c1910, detail. CPL. The Hollenden Hotel’s outdoor dining room stands at one end of this row of retailers and Penney’s saloon at the other. Businesses lining the sidewalk include a postcard shop, a cheap lunch restaurant, a candy store, a jeweler, a Chinese restaurant, and the American Theater. 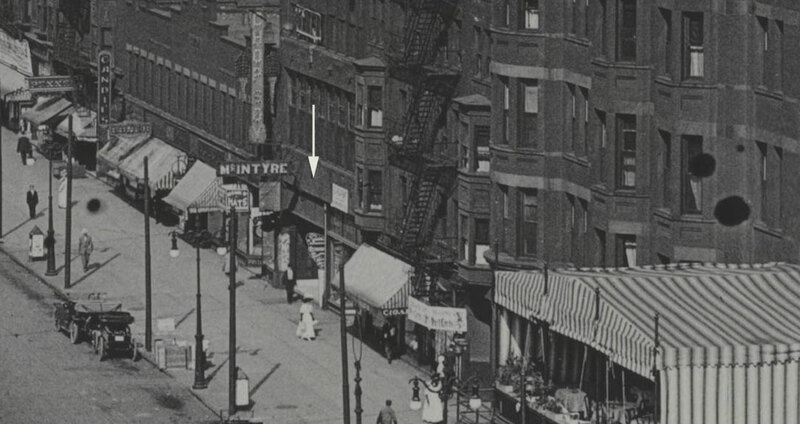 In the photograph above, the American Theater stands between a cigar store and the McIntyre saloon. The shot is distant and partially obscured, butThe projection booth was a metal box, suspended by straps from the ceiling. 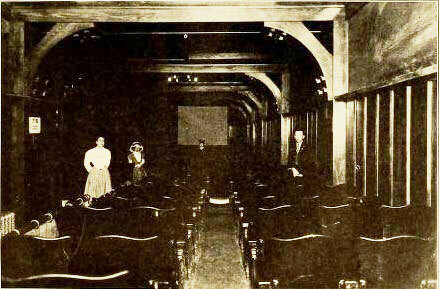 When the projectionist moved, the picture swayed on screen. suggests that this nickel theater looked like many others. Nickelodeons typically filled their entryways with eye-catching frills: lights, posters, gilded ticket booths, and architectural flourishes. When ordinances allowed, they added music. An ornate sign, illegible at this distance, greets customers in the entryway. A temporary banner, probably announcing the current show, hangs above a display window. Another sign, most likely illuminated at night, projects from the building. Something sticks out slightly from the American’s alcove and into the sidewalk. 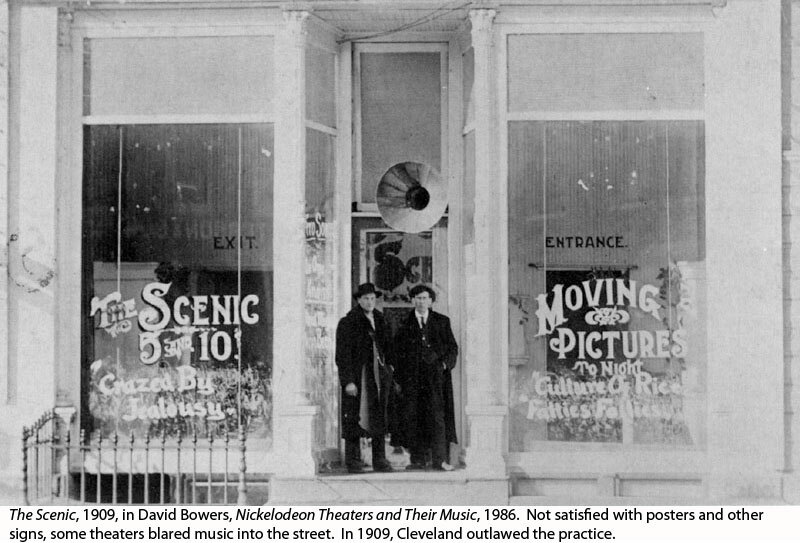 Nickel theaters commonly put sandwich boards with more posters in that position. 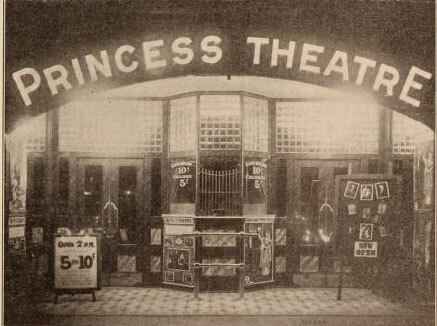 The Cleveland Vice Commission and some passersby objected to to the “blood-curdling advertising” thrust toward the sidewalk, but Bullock and others made their frontage as conspicuous as The Princess Theatre, Chatham, Ontario. Film Index, May 1911. The Princess was larger and more elaborate than the American, but it demonstrates the visual effects that nickelodeons pushed at passersby. finances and ordinances allowed. Several shops on Superior, including the McIntyre saloon, have flamboyant electrified signs. In the dark, incandescent bulbs traced the pattern of every letter. The American lacks that extravagant and eye-catching touch, probably because of the cost. Bullock had several brushes with city authorities, even before The Collinwood Fire. In early 1907, Fred Kohler, Cleveland’s Chief of Police, announced that “We are going to stomp out all Interior of the Dreamland. The Nickelodeon, Nov 1909. The Dreamland stood at 703 Euclid Avenue, two blocks from Bullock’s American. Like the American, it occupied a narrow lot. The theater sat about 250 people. that is obnoxious in the picture shows. . . [even] if we have to make the men displaying them shut up shop.” The police arrested Frank Mosely, Bullock’s brother-in-law and a projectionist at the American, for “conducting an immoral show.” In May, the city council began debate on a bill restricting the attendance of school-aged children at movie theaters. Bullock spoke to the council on behalf of cinema owners, saying that “the legislative branch should not discriminate . 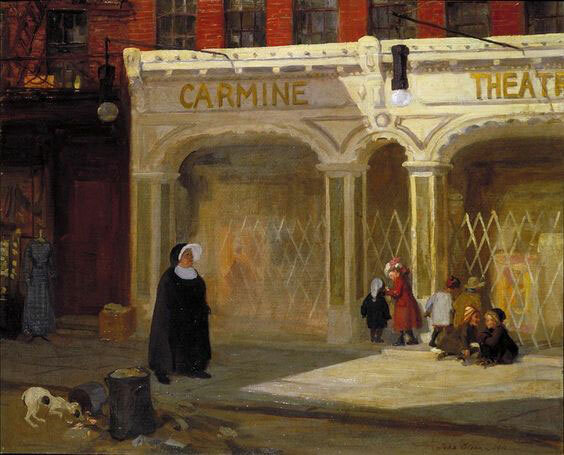 . . against certain amusement places.” In December, police returned to the American, this time arresting William Hines, Bullock’s partner, for “exhibiting pictures inciting to crime.” They also hauled in the manager from the nearby Lyric theater. Both had been showing movies that included criminal acts. They didn’t. Ten weeks later, Bullock premiered The Collinwood Fire.